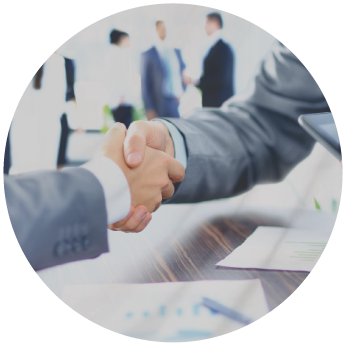 TAMCOnnect is a partner program for value added resellers (VARs), managed service providers (MSPs), telcos, distributors, integrators, and manufacturers who sell telecommunications, unified communications (UC), A/V, security/surveillance, and any other related technology solutions. TAMCOnnect partners have exclusive access to TAMCO’s as-a-service alternative payment option, TAMCO Shield and our capital expense (CAPEX) leasing products. TAMCO provides exclusive payment alternatives to traditional lease options across a broad range of technology solutions, including; voice, data, video conferencing, cybersecurity, surveillance/CCTV, A/V, IT, and many other technology solutions you offer. It’s as true in business as it is in life: every now and then, a partner needs support. TAMCO puts an emphasis on providing extraordinary personalized support to you, the partner, and your customers when it is most needed. It’s as crucial to our success as it is to yours. Flexibility. Its importance can’t be understated; particularly when it comes to financing. So we’ve created several innovative options to meet the varying financial needs of our partners. Example: Deemed Acceptance, Progress Payments, Assignment of Proceeds, and Customer Pay Proceeds. In order to grow, to survive, to compete – you have to be willing to change. It’s a simple premise; the moment you think you know it all is the exact same moment that you stop learning. TAMCOnnect partners have access to free training courses including; Selling to the CFO, Positioning How to Buy, Time Value of Money. An extra set of eyes. An objective opinion. Expert guidance. Who wouldn’t love to have that when it came to each proposal and offer? Our partnership comes with 20+ years of providing assistance to countless partners who achieve astounding results. Partners who offer their customers a TAMCO monthly payment option can easily bundle multiyear maintenance by spreading it out over the term.TAMCO will pass-through that maintenance payment at no cost or added finance charges. The tools, people, and products that I receive as a partner of the TAMCOnnect program are the perfect complement for our go to market strategy. TAMCO has taught, and we have embraced the how to buy in our sales process, which has elevated us to a more competitive advantage. Partnership that delivers on its promise. Connect with TAMCO to learn more about our exclusive partner program TAMCOnnect & flexible leasing products.